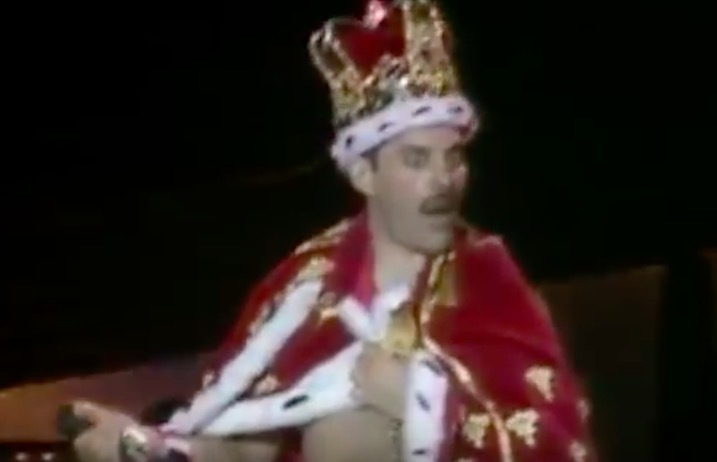 Thanks to an announcement on Queen's official website, we now know for certain that a Freddie Mercury biopic, starring Mr. Robot's Rami Malek, is now in the works! And it's been given a very appropriate title: Bohemian Rhapsody. According to the announcement, Bryan Singer will direct the film. His other works include the X-Men films and The Usual Suspects. Pre-production will begin next week in the UK. Fittingly, Roger Taylor and Brian May of Queen will serve as the film's music producers, but there's no news yet as to who will play those two and John Deacon in the film. “Yes folks, it IS finally happening. You’ve been hearing rumours about Bohemian Rhapsody The Film for some time, but now QOL is about to become your most direct source of official information. This will be the place to come to stay ahead of all the very latest news and updates as the film gets underway – and hopefully we’ll have some regular insider information to share with you too. So starting right now, here's what we can confirm at this stage. Award winning director Bryan Singer is the man who will be bringing the Queen and Freddie story alive. If you’ve ever seen Singer’s X-Men films, or the groundbreaking movie The Usual Suspects, you’ll know this is a director with extraordinary imagination and style. A perfect choice to recreate the fabulous Queen years which brought us such unforgettable moments as Live Aid, which we can reveal will be faithfully recreated for a key sequence the film. More on that very soon. Roger and Brian of course are serving as the film’s executive music producers. After months of speculation, QOL can also confirm that the film is now ‘as-close-as-that’ to start of shooting. Pre-production begins next week in the UK to prepare for start of principal photography in around London as soon as mid-September. Who knows—with the sound of that last sentence, you could be in the film! Are you excited for Bohemian Rhapsody? Let us know in the comments.